It's been done but I haven't done it. I think the frame has to be modded and I'm not sure on the driveshaft. A search might bring up some of the old threads that go into detail on it. IIRC, you have to notch the frame up front for the longer rear part of the new diff (the actuator). 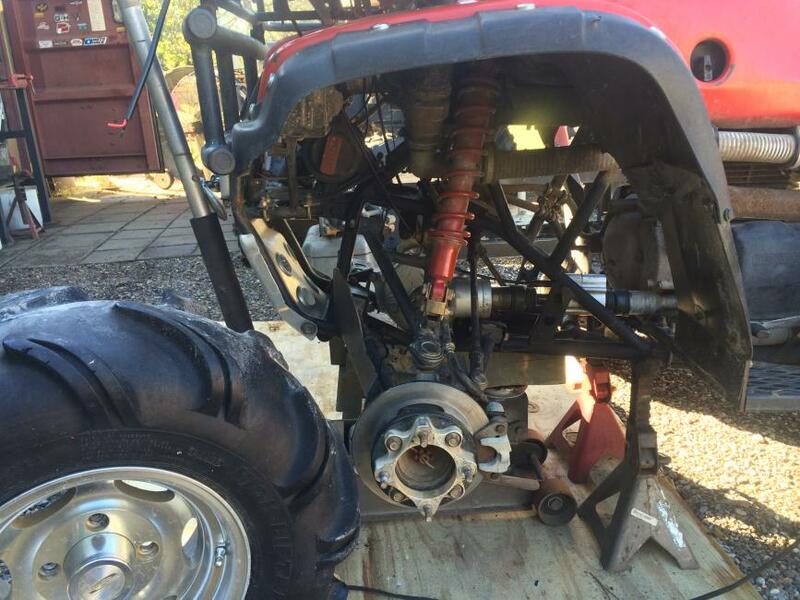 What all do I need to do to swap my 98 foreman 450 with a 2002 so that I can have 2wd/4wd? Will the axels still fit? What electronics are needed. Last I checked a company called wide open was still making the old WARN 424 which is a cable operated unit that replaces the front driveshaft. I have the original WARN unit and it works amazing. I rebuilt it a few years ago with the Wide Open rebuild kit to replace the bearings, seals & cable, parts fit perfectly. For ATV projects and crew adventures you can check out my site www.shed-headz.com. 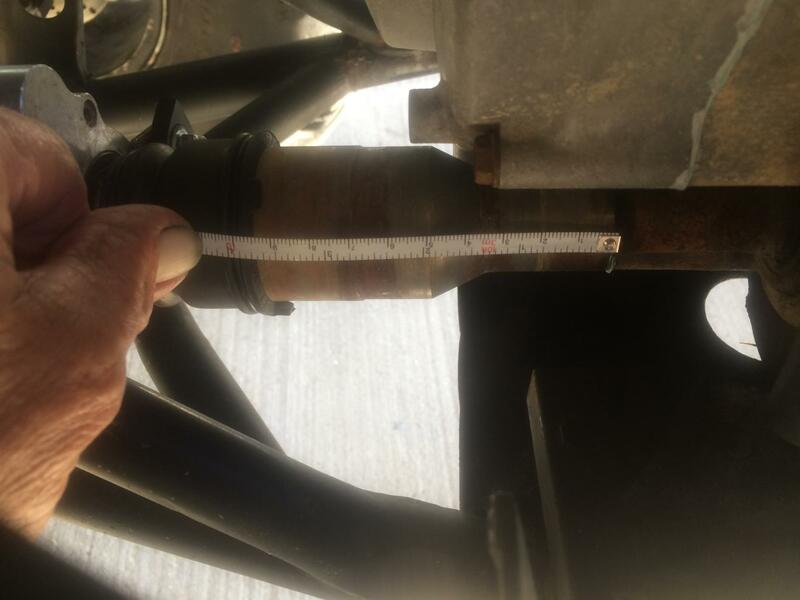 According to that build thread, Shadetree says the 02-04 front diff and driveshaft will not work because the frame is 1" shorter, thus leaving the front driveshaft 1" too long. I don't have 450's here to measure to verify that, but he has an 03 and said the diff mounting hole to front of motor mount was 1" shorter on the 99 450. I've suggested that the owner of the bike have the front driveshaft shortened one inch, but am not sure how that build will end up. @Fishfiles, if that is the case, you should have a longer frame, and thus should have all kinds of room in the ends of the front driveshaft cups (which means splines that aren't totally engaging on your front driveshaft). Normally I would agree with you on the idea of electrical stuff vs mechanical stuff, but I guess since none of the bikes I've had or even the guys I ride with have had a problem with the electrical front diffs, and the prohibitive cost of buying a 424, would be my reason for going with the electric shift. I had an 02-04 front diff that was in good shape that I supplied to Powerstroke (traded him for the tires that were on the bike when shade picked it up), since his original diff was trashed, and shade wanted him to buy a new OEM diff AND then he would have to buy the 424, so he could go electric using my diff or drop $800-900 just on a new front diff and 424. I did happen to think that if you had done the opposite (older model diff and 424) that if the measurements quoted were correct that your setup would be an inch too short, and you'd have play in the driveline ends. That said, not my bike, so I've tried to extract myself from the whole ordeal. Shade is great at what he does. My 300 engine sounds like a new machine. I think at this point powerstroke is going to get a full time 4wd front diff and let shade put it back together stock, just because the whole thing has caused so much friction. He said he'll either put the electric diff in or get a 424 later on. Wasn't sure what direction he wanted to go in. I’ll bump this post because I’m in the same boat. In the process of installing a traxlok diff in my 98 450. Have the frame notched where it needs to be and all the holes line up now. I have the gen 2 (02-04) coupler and driveshaft. Went to stab the driveshaft and bolt the diff a bit ago and it appears the driveshaft is to long. Even though it is a gen 2 shaft which is shorter then the gen 1 shaft. I can shorten it tomorrow but is it true it needs to be 1” shorter? I hate to cut it to short and possibly strip the splines or such.. I’ve been searching the web and can’t find any clear answers on this. Once that is put to bed, I’ll still need to wire it. I’m using the traxlok throttle housing. I want to use that switch like it would be factory but want to hardwire it. Any tips on that? Thanks.